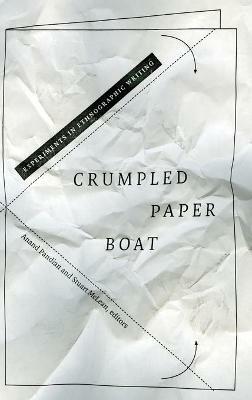 Crumpled Paper Boat is a book of experimental ventures in ethnographic writing, an exploration of the possibilities of a literary anthropology. These original essays from notable writers in the field blur the boundaries between ethnography and genres such as poetry, fiction, memoir, and cinema. They address topics as diverse as ritual expression in Cuba and madness in a Moroccan city, the HIV epidemic in South Africa and roadkill in suburban America. Essays alternate with methodological reflections on fundamental problems of writerly heritage, craft, and responsibility in anthropology. Crumpled Paper Boat engages writing as a creative process of encounter, a way of making and unmaking worlds, and a material practice no less participatory and dynamic than fieldwork itself. These talented writers show how inventive, appealing, and intellectually adventurous prose can allow us to enter more profoundly into the lives and worlds of others, breaking with conventional notions of representation and subjectivity. They argue that such experimentation is essential to anthropology's role in the contemporary world, and one of our most powerful means of engaging it.